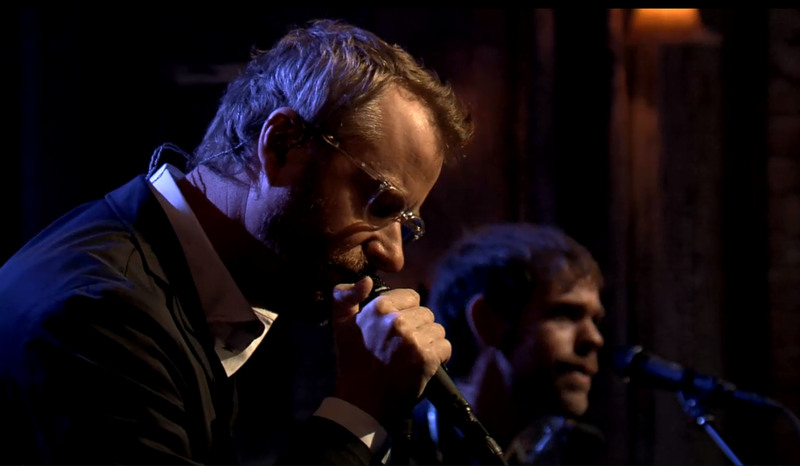 The National returned to Late Night with Jimmy Fallon on Thursday night in support of their a.) forthcoming sixth studio album, Trouble Will Find Me, b.) Tribeca-screened documentary, Mistaken for Strangers, c.) annual music festival, Crossing Brooklyn Ferry, and d.) soon-to-be MoMA PS1 exhibit, A Lot of Sorrow. (Let me get a breather. Okay. Good.) Similar to their promotion behind 2010’s High Violet, the Brooklyn outfit used the platform to debut two new songs, specifically: “Sea of Love” and a web exclusive performance of “I Need My Girl”. Replay both cuts below. Trouble Will Find Me is due out May 21st via 4AD, and features Sufjan Stevens, St. Vincents Annie Clark, and Sharon Van Etten, among others. Pre-order now.